Cadets Sasha Winchester (9) and Lane Harryman (10) participate in the first CyberPatriot competition of the season. CyberPatriot is the National Youth Cyber Education Program. At the center of the CyberPatriot is the National Youth Cyber Defense Competition. The competition puts teams of high school students in the position of newly hired IT professionals tasked with managing the network of a small company. Each competition takes place on line over a three day period and pit teams from around the world against one another to see who can garner the most points in the shortest period of time. Patriot Company's "A" Team finished 234th out of 1,104 JROTC teams world wide. 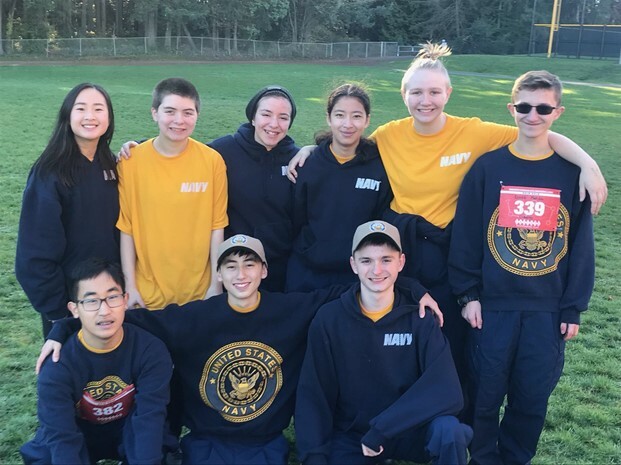 Along with presenting the Colors and providing assistance with security during the football game, NJROTC Cadets also participated in their second orienteering meet of the season in Hamlin Park in North Seattle on Saturday morning. From left to right and front to back: Cadets Thomas Le (11), Joseph Jurty (9), Ryan Hoff (10), Taylor Nicole, Le (10), Danni Widdows (10), Monica Escobar (9), Sasha Winchester (9), Sarah Bernhard (10), and Kerrek Matson (12). From left to right: Cadets Colby Van Ry (9), Jacob Hill (11), Chandler Alexander (12) and Logan Harris (9) present the Colors prior to the Patriots state quarter-finals victory over the Ellensburg Bulldogs. Cadet Colby Van Ry (9) is advanced to Cadet Seaman on Wednesday morning. 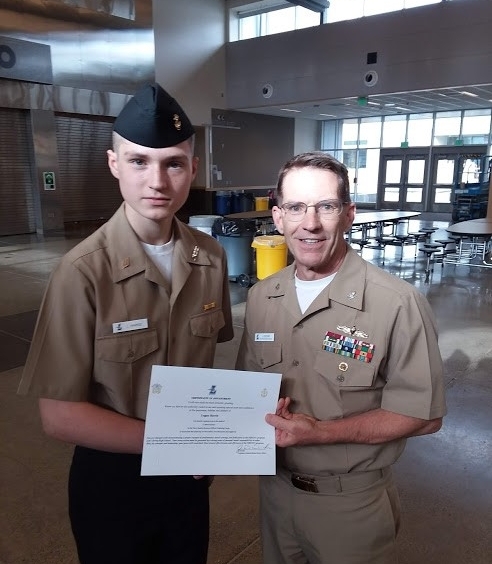 Cadet Logan Harris (9) is presented with his advancement certificate after being advanced to Cadet Seaman. 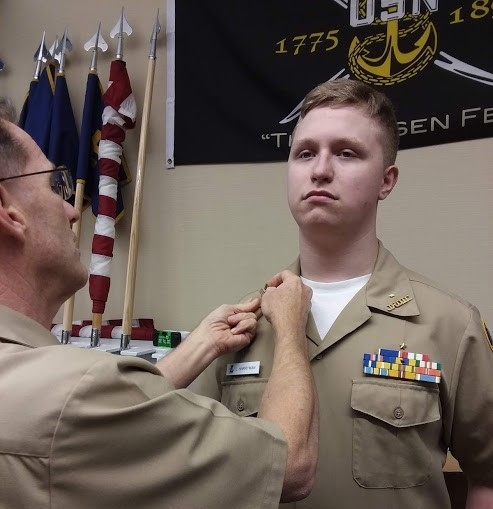 Lane Harryman (10) is advanced to Cadet Petty Officer First Class!